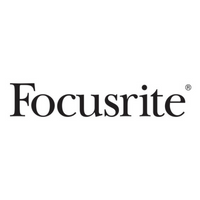 Focusrite Audio Engineering has pioneered professional audio recording technology for nearly 30 years. Starting from the delivery of 12 sonically unrivaled music-recording consoles, Focusrite has gone on to become the leading name in music recording products. The Focusrite brand offers audio interfaces and other solutions for recording musicians, music producers and audio professionals alike. Today the company is famous for offering unprecedented sonic performance at every price point, notably the ubiquitous Scarlett range of USB interfaces. Focusrite relentlessly pursues opportunities to inspire creativity through technology, constantly seeking new ways to eliminate technological barriers, without compromising on sound quality.